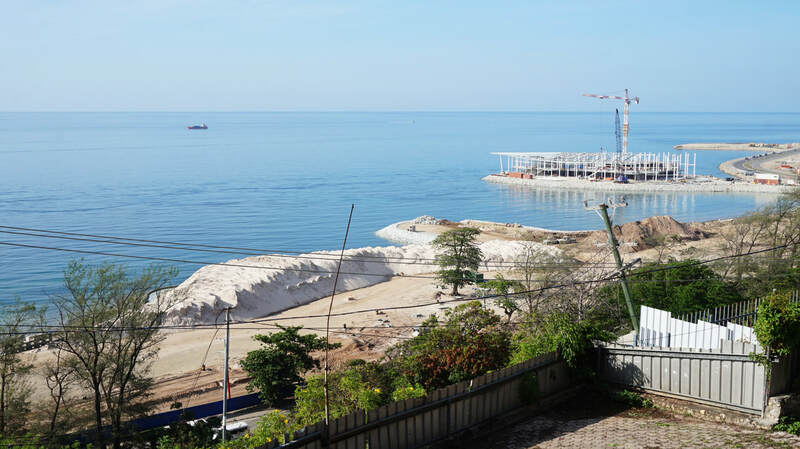 I woke up to the sight of heavy road construction in front of my AirBnB apartment in Port Moresby. The city will be hosting the APEC summit next year, which explains the massive preparation the local government is undertaking. Walter, the private driver of my host, will be my company in today's exploration of Port Moresby. 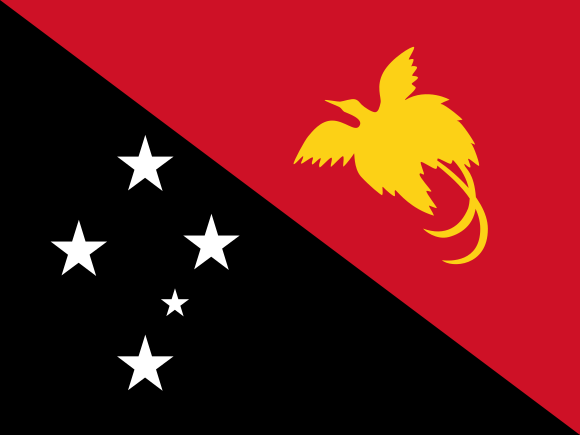 In Papua New Guinea, owing to the strong influence from neighboring Australia, people drive on the left side of the road. This is odd for someone who's used to traveling on the right but since Walter is around, I didn't have to worry. After Betty and the rest of the gang from Betty's Lodge left for Mount Hagen, I waited patiently at the backseat of the PMV bound for Goroka. Shortly a friendly young lady named Marina joined me at the back and from her stories I learned that she's taking up Education at a local college in Kundiawa. Soon the PMV started hitting the dusty road from Kundiawa to Goroka, with a brief stop at a mini market where I bought the sweetest strawberries I've ever had in life. 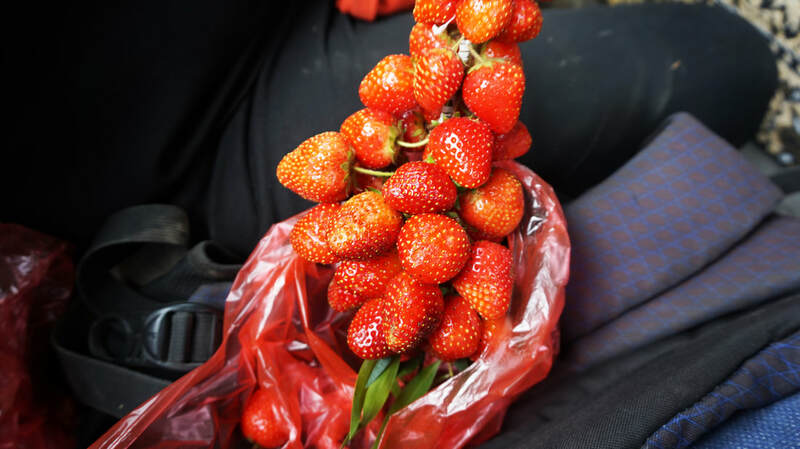 Marina and I enjoyed the bunch of strawberries as we continued to exchange stories on the way to Goroka. In a little more than 2 hours we finally arrived in Goroka. Marina and I walked together and then parted ways at the gate of Lutheran Guesthouse. She gave me her number in case I would require help in getting to the Asaro village or anywhere in Goroka. Call time was 7:00 o'clock that morning. 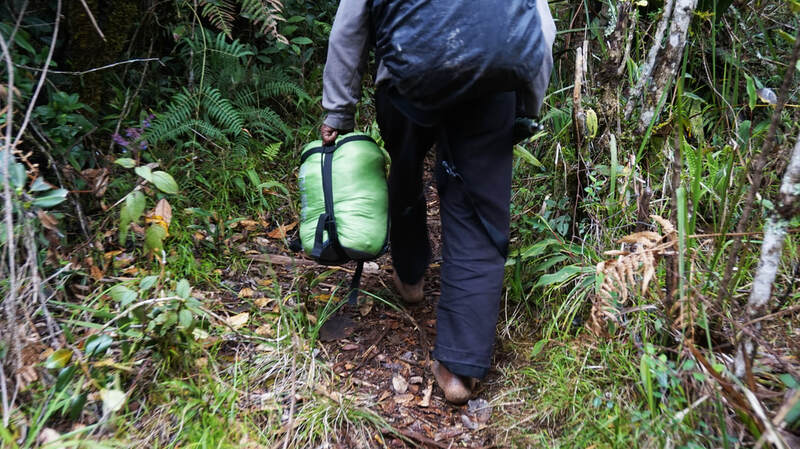 Kua, myself, assisted by a local porter started walking the wide established trail leading up to the base camp. Betty sent her cheers as we looked back to the lodge filled with optimism and determination to meet our goal. Little did I know that I was venturing on a mission that will take more than dedication and willpower to accomplish. 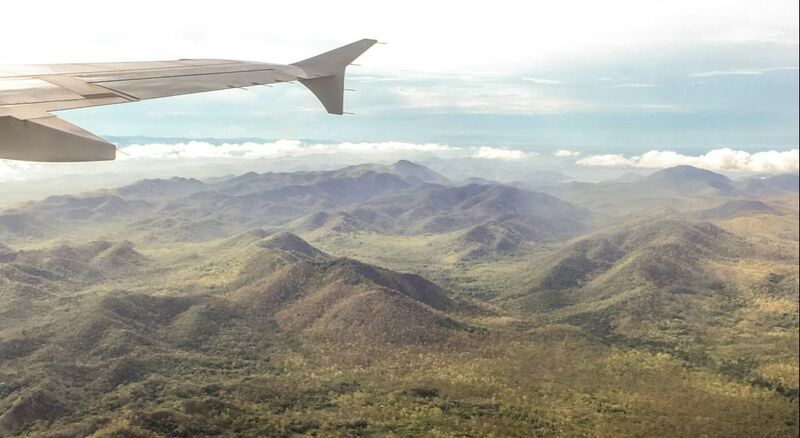 The plane window opened to a vast stretch of wild tropical jungle, dotted with mysterious swamps and pocket-sized lakes, and some of the tallest trees I've ever seen in my life. After a while the 6-hour Philippine Airlines flight from Manila made a smooth landing at Jacksons International Airport. 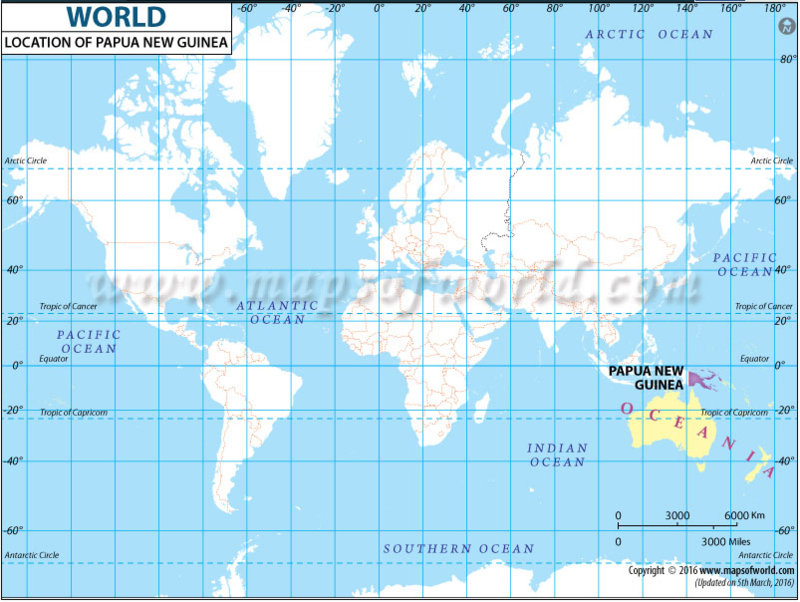 I've just arrived in Papua New Guinea, one of the least explored countries in the world. I never thought I would end up here one day, and so as I proceed towards the immigration I felt heavily curious and excited. Coming as a tourist holding a Philippine passport, I qualified for a free single-entry visa-on-arrival that is valid for stay of up to 60 days. Papua New Guinea and The Philippines share a long history of friendship and economic cooperation, and one of the perks that comes with it is the easy exchange of people between the two nations. This is what I capitalized on while making an impulsive booking during one of Philippine Airlines' seat sales, and so now I'm here, ready to find out what it's like to travel across a land which until today, remains unknown to most of the world.